the word tree with the object the prosecutor pointed to. something you can point to. A field is a phenomenon, a movie of something in motion for causes unknown. even talk about illustrating a field. I will discuss the mapping of Jupiter's magnetosphere here. lonely field look like if we take a picture of one after we removed the magnet and the 'charged particle'? What does a field look like without the source and the target? 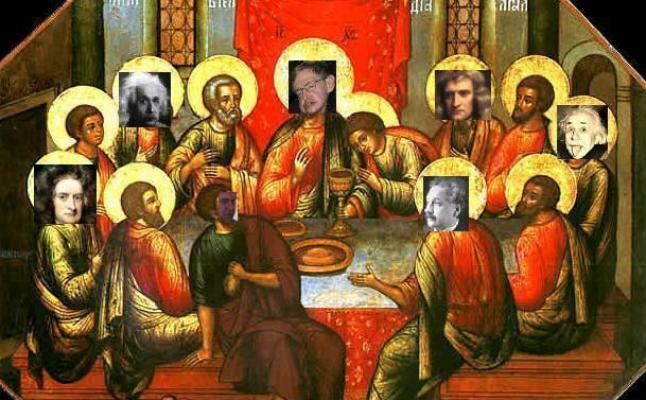 If the field is alleged to be infinite, then, we run into even greater trouble. In fact, the word river is a good candidate to demonstrate just how different objects are from concepts. object is that which is finite. 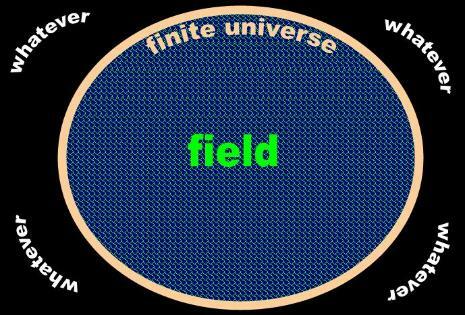 Therefore, a field cannot be infinite and also be a physical object. your dues. So please pay up now! its former life in a cocoon, the river flows independently even while the ice is melting on the mountain. A field, instead, is alleged to emanate from or to be an integral part of the surroundings of an object. A field never gains its independence from its source, but is permanently bound to it like a halo to an angel. This argument reinforces that a field will never qualify as a portion. his enables the prosecutor to use the atom as a physical object in his theory. abstract points. I analyze particles later; here, I continue with points. involving points as physical constituents of a supernatural world. A halo, on the other hand, requires a little more. Without the holy person, a halo is just a bright ring or disk. definition may say more about the dog than about the horse.